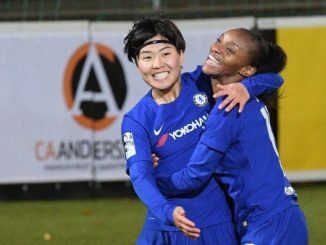 Olympique Lyonnais continued their defence of the UEFA Women’s Champions League trophy with a 2-1 home leg victory over Barcelona, while Wolfsburg were 5-0 winners against visitors Slavia Praha. 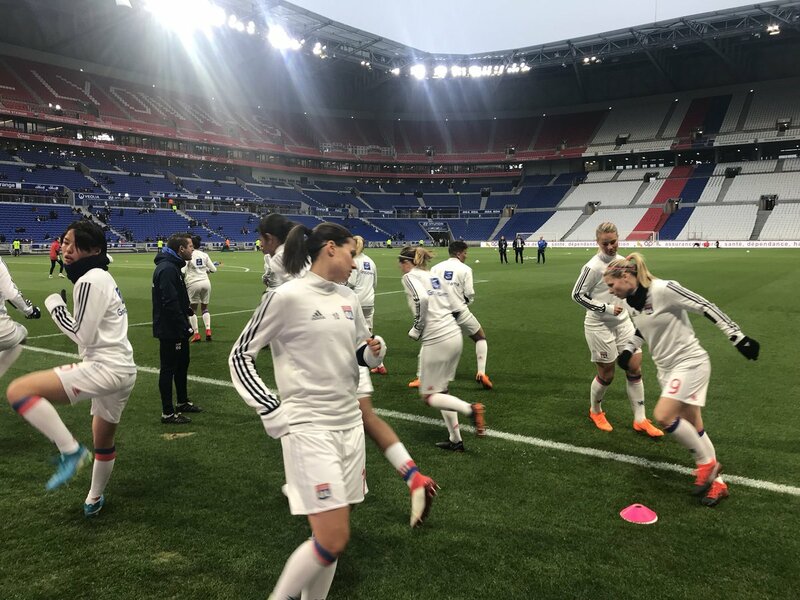 Dzsenifer Marozsán broke the deadlock to give Lyon the advantage just before the interval but Patricia Guijarro responded with a potentially crucial away goal in the 72nd minute. Ada Hegerberg restored the hosts lead with 10 minutes remaining, leaving Lyon with at least something of a lead to defend in Barcelona next week. 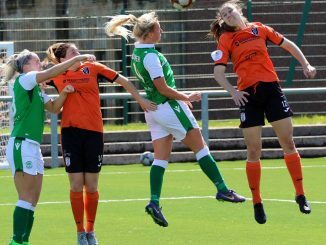 Wolfsburg have one foot in the semi-finals after seeing off Slavia Praha, Pernille Harder and Caroline Graham Hansen with quickfire goals to have them 2-0 up in 13 minutes. Sara Bjork Gunnarsdottir got the third by half-time, with Harder later doubling her tally and Ewa Pajor adding a late fifth.